We offer several soles, each with its own benefits. We offer an ultra-premium class of soles that are specially designed for our lines as well as a premium level of generic soles for some of our more economical offerings. 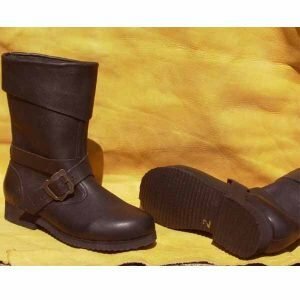 Our Israel and Marina soles are an ultra-premium quality of sole and are custom designed and molded specifically for our lasts. 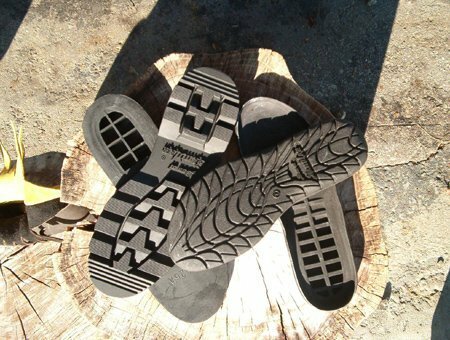 They are composed of a trade secret composition of rubbers to be lightweight and offer maximum durability and comfort. The Israel sole is our most popular Ultra-Premium sole offering. Patrons love it for its aggressive look and performance. 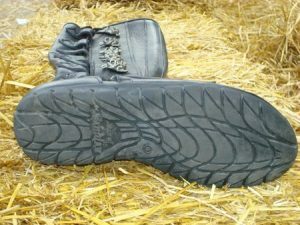 It is a heavier duty sole with forward and reverse traction treads. It has an integrated six degree turn in the design to offer an ergonomic walking stride on the sole. The sole itself is slightly curved and offers a pivot point for faster movements. It is available in a full height and low profile version as well. *This sole is highly recommended for any type of intense outdoor activities. When in doubt, Israel soles will always be there for your needs! The Low Profile Sole is a thinner & lighter version of our first Ultra-Premium Isreal Sole. We incorporate this design in most of our shoe styles for less overall weight for the wearer. Style available for all products. The Marina Sole is our second Ultra-Premium sole offering. It is more of a walking style of sole and offers less tread but has a sleeker aesthetic and is lighter in weight for easier walking days. It also has an integrated six degree turn in the design to offer an ergonomic walking stride. 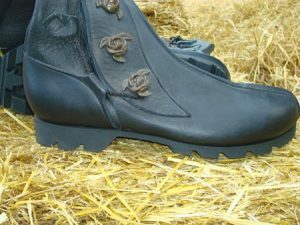 This sole is more popular for the casual ren fair goer who wants comfort without the look of a heavy tread. Most of our Patrons will opt for our Israel and Marina soles. We have a premium generic option for those who want something simpler. 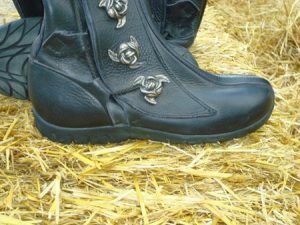 They offer a more dressed down and economical option on some of our boots. They are slightly softer and lighter weight material. 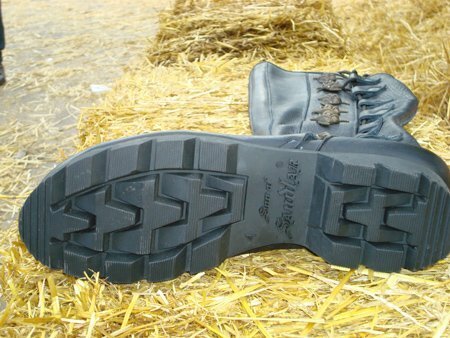 If cost is a major issue, Merchant Boots come standard with these soles as a cost savings option.